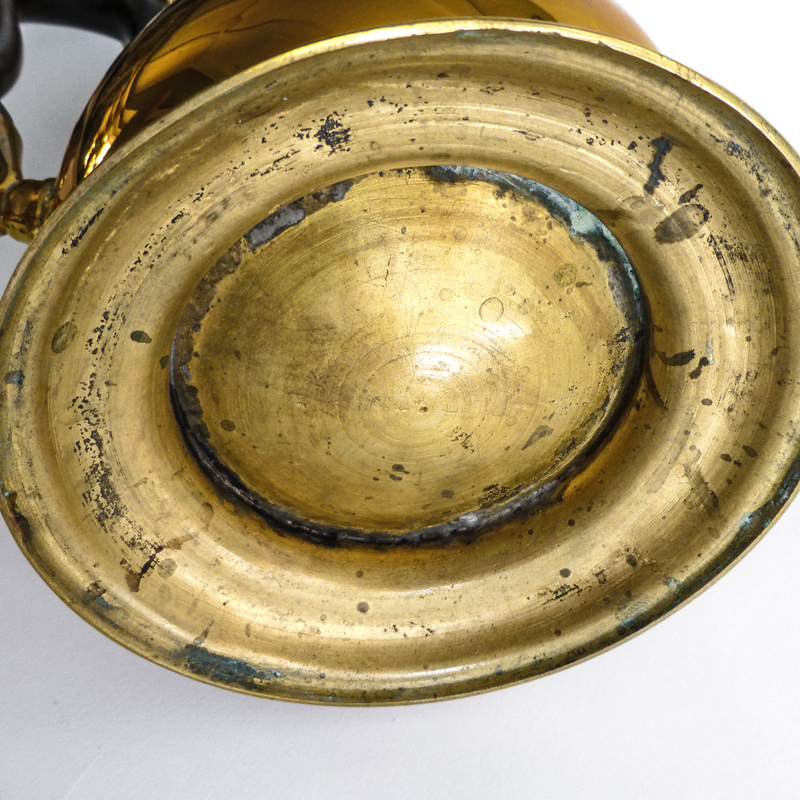 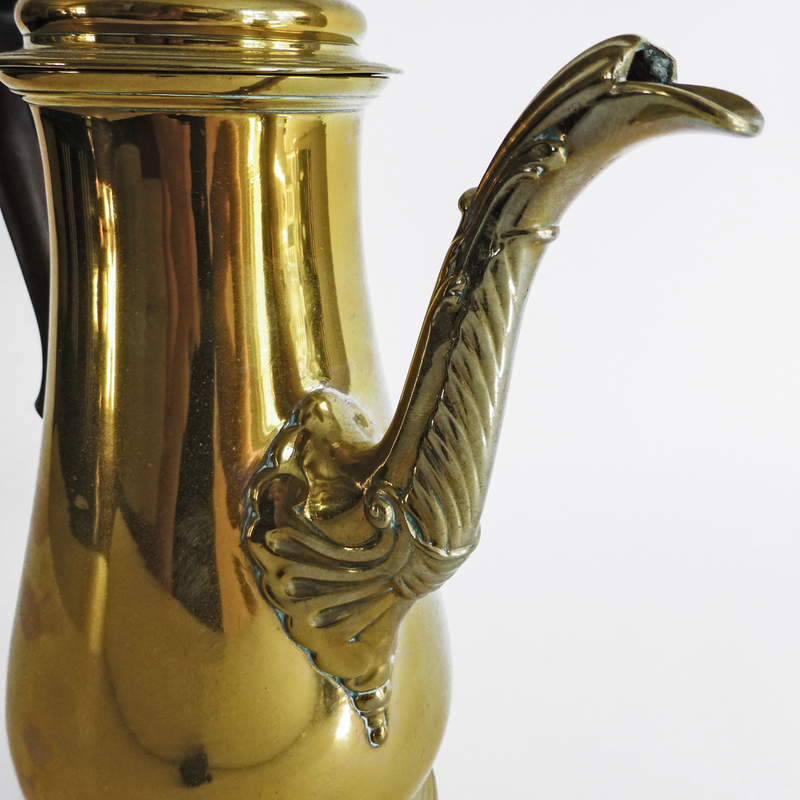 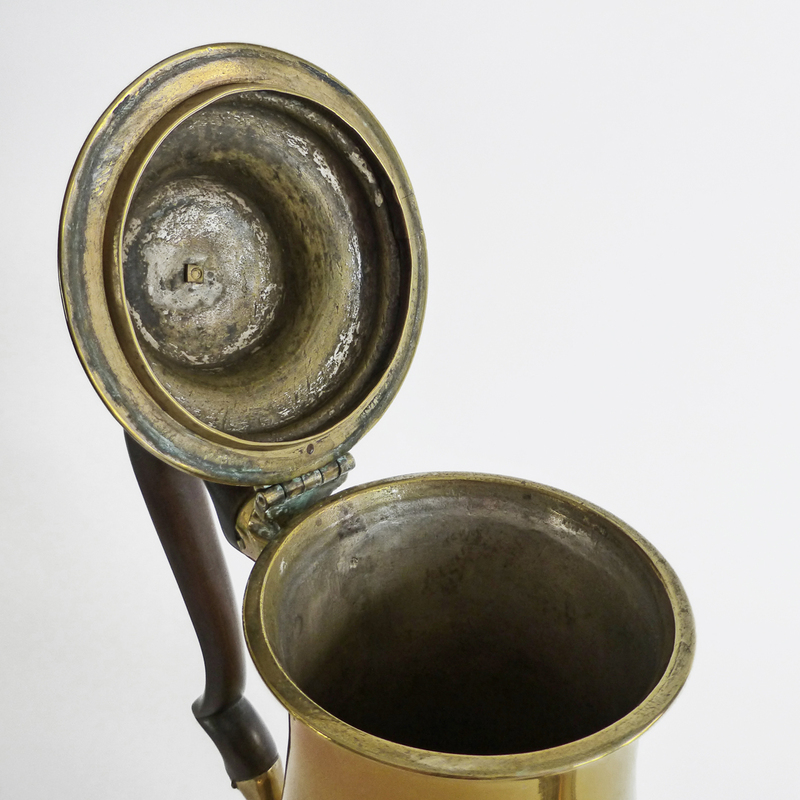 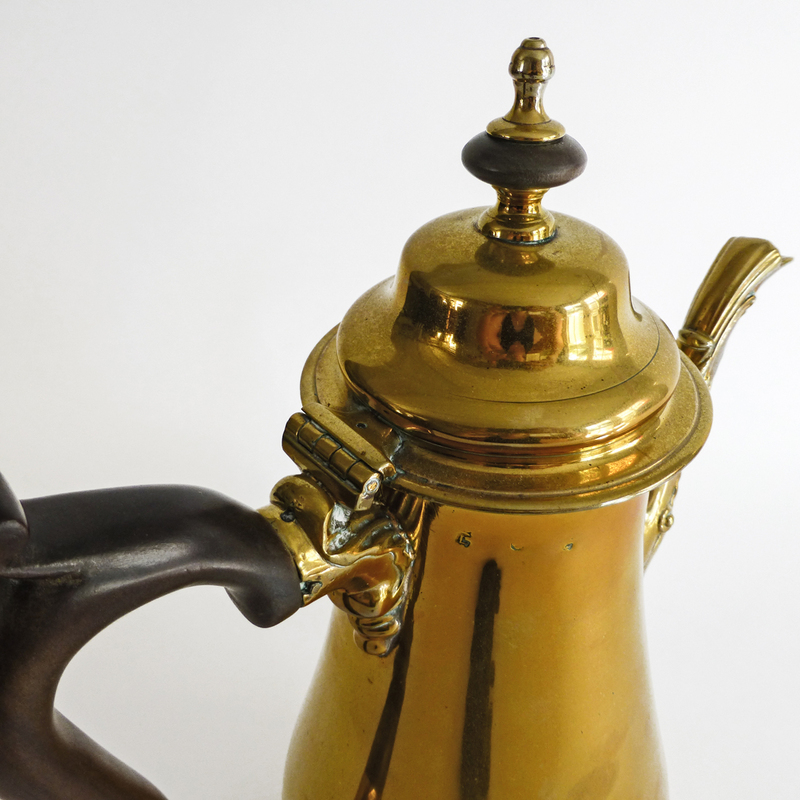 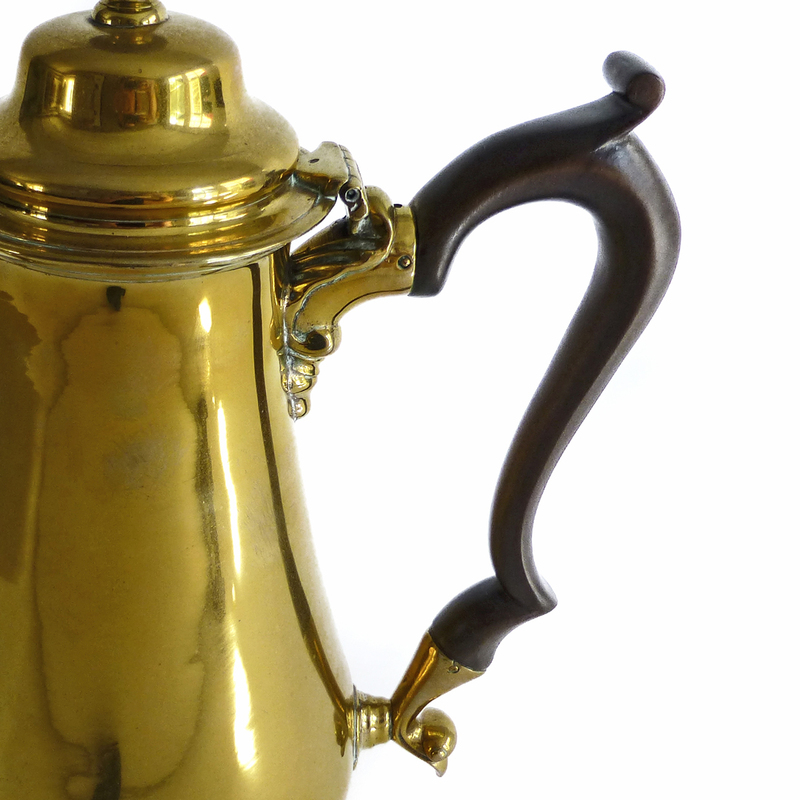 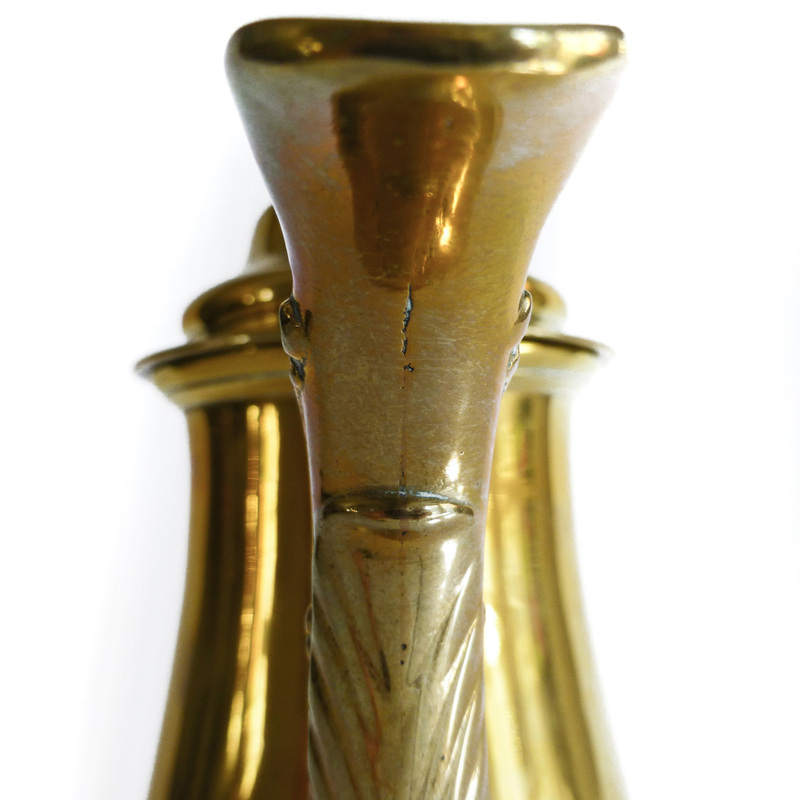 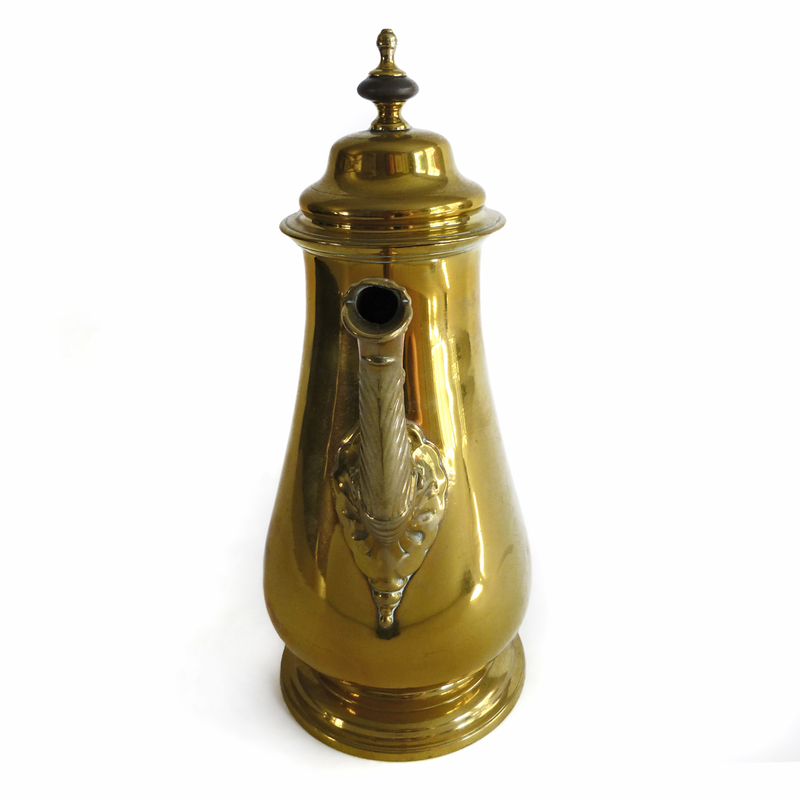 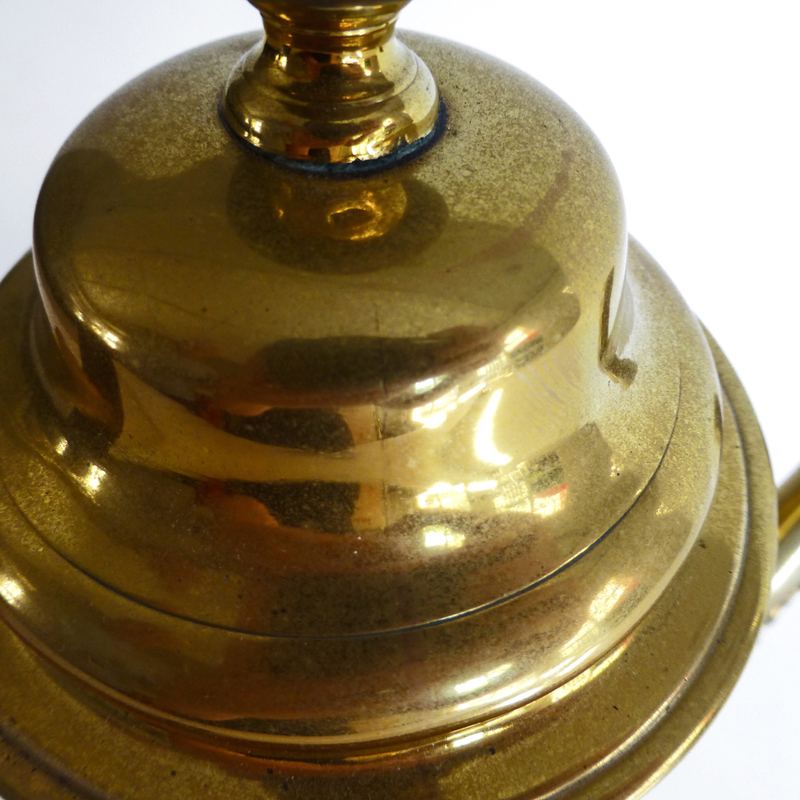 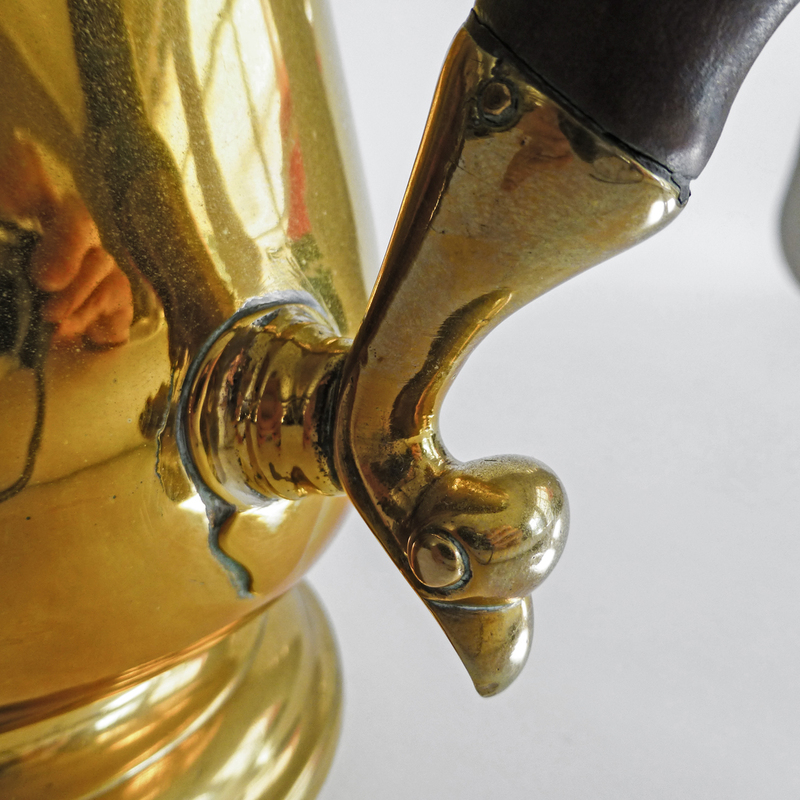 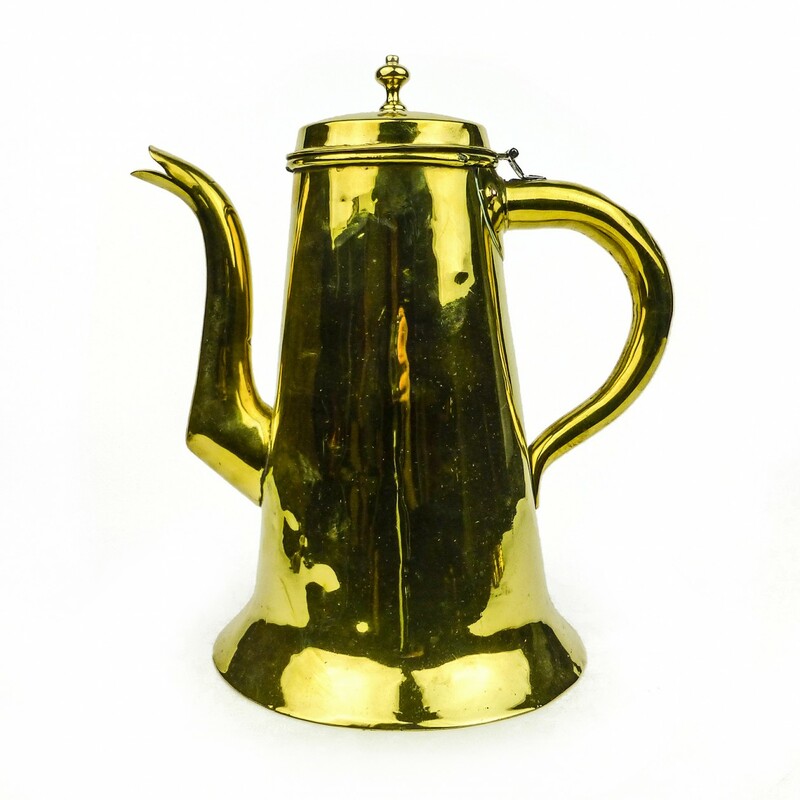 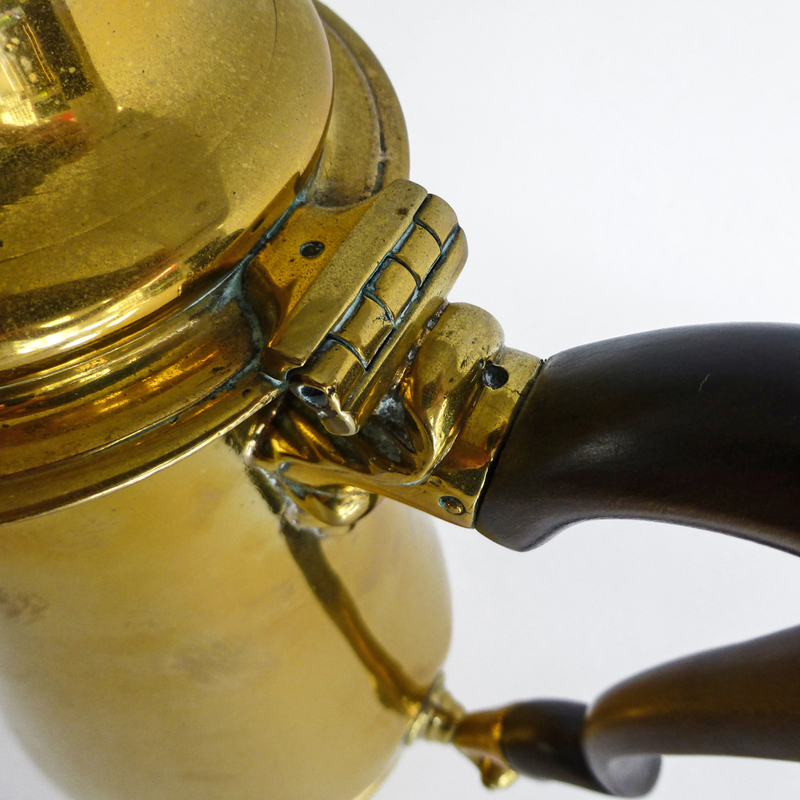 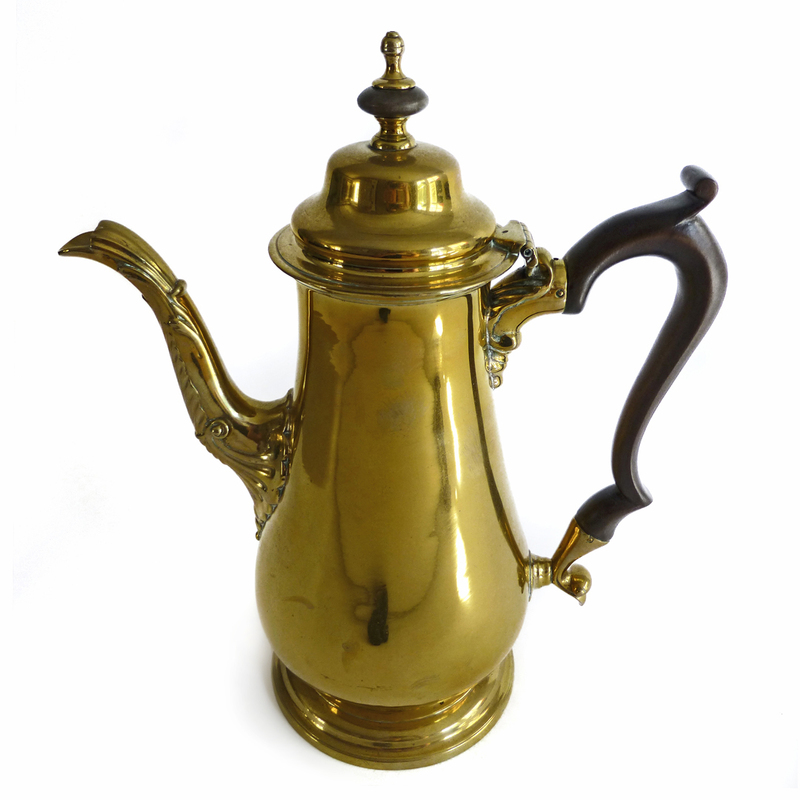 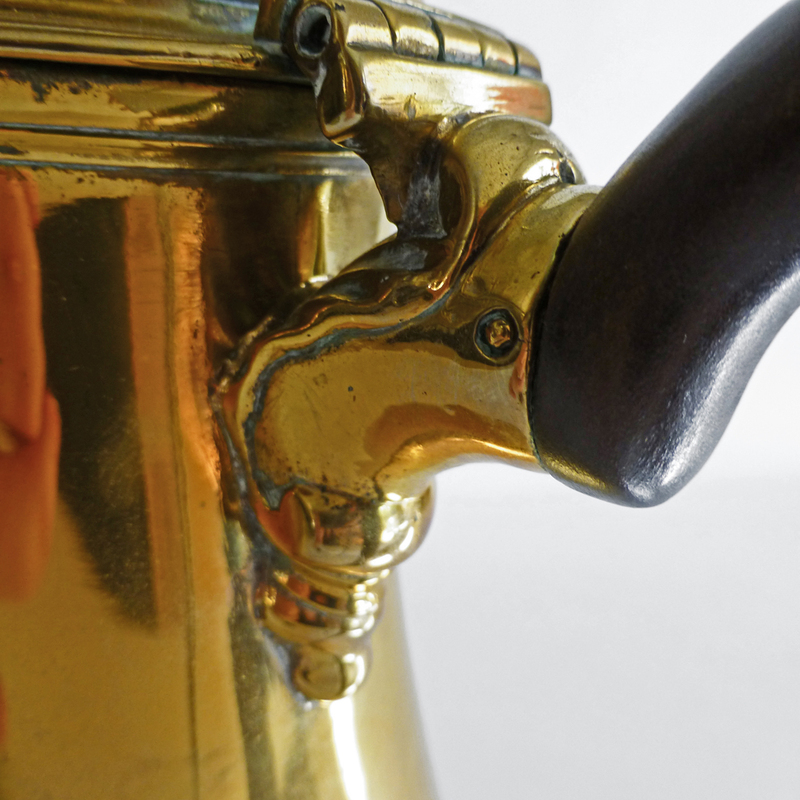 An Exceptional Brass “Silver Form” English Coffee Pot with Pseudo Marks. 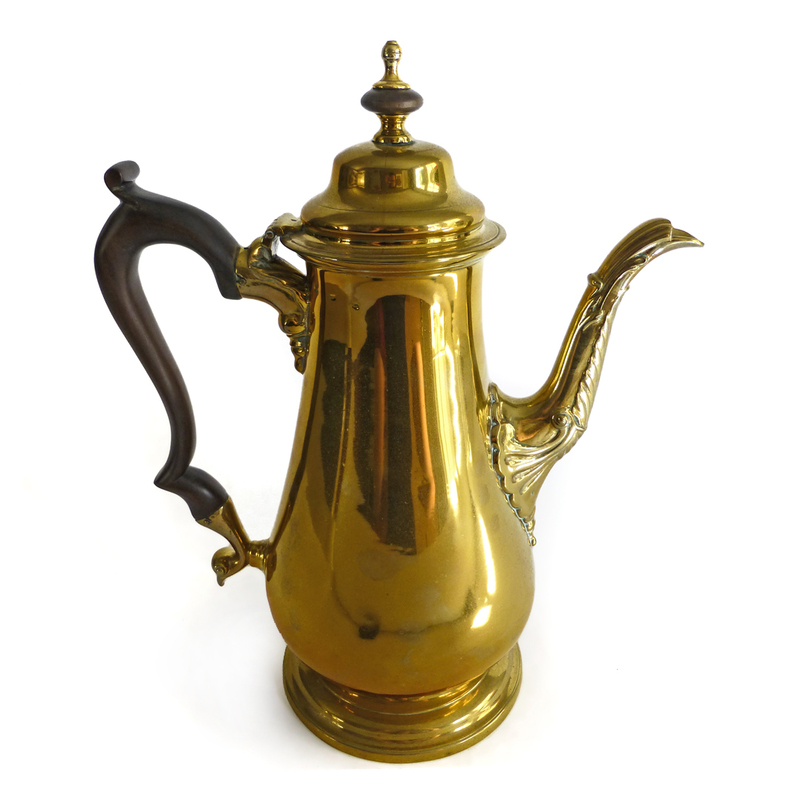 Circa 1755. 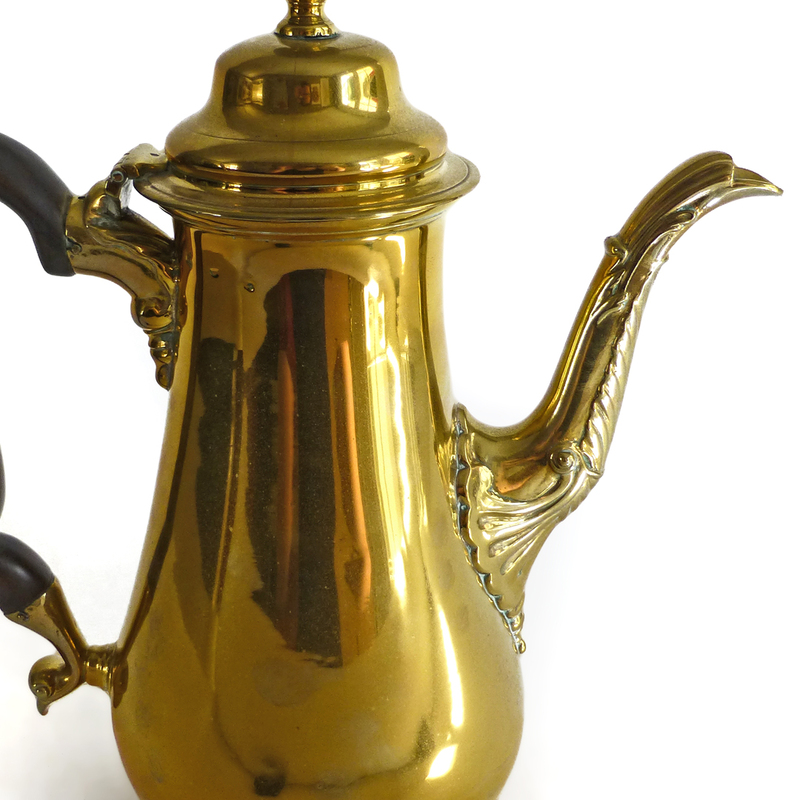 Very Rare Size.